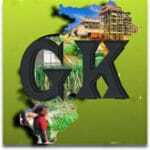 Chhattisgarh General Knowledge Quiz of all Chhattisgarh History Gk Quesions, First Chhattisgarh Languages, First British Officer, Chhattisgarh Newspaper, Chhattisgarh Radio Center Name, Chhattisgarh Community Meetings Gk questions and answers quiz and Other CG State related Gk also. Que (02): Who was the First “British Officer“ appointed in Chhattisgarh ? Que (03): Who first used the “Chhattisgarh word“? 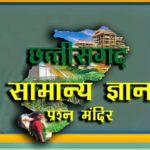 Que (04): Which is “Old Language“ used in Chhattisgarh ? Que (05): What was the “First Newspaper“ published in Chhattisgarh ? Que (06): Who was the editor of “Chhattisgarh Mitra Newspaper“ ? Que (07): When the first “Radio (Akashwani) Center, Raipur“ established in Chhattisgarh ? Que (08): “Doordarshan Center“ first time started in Chhattisgarh ? Que (10): Who is known as first “Martyred Soldier“ in Chhattisgarh State.